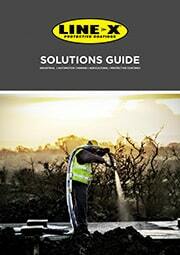 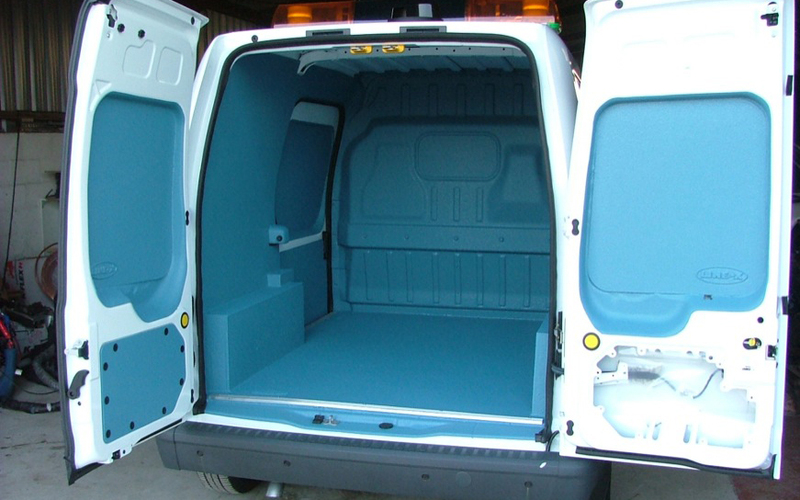 LINE-X Van liners are required for a vast variety of different uses. 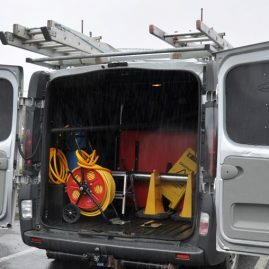 These can vary between window cleaners vans, and customers who want a waterproof interior, to people delivering foodstuffs or fruit and vegetables, who need to be able to Jet wash the interior of their vehicles frequently. 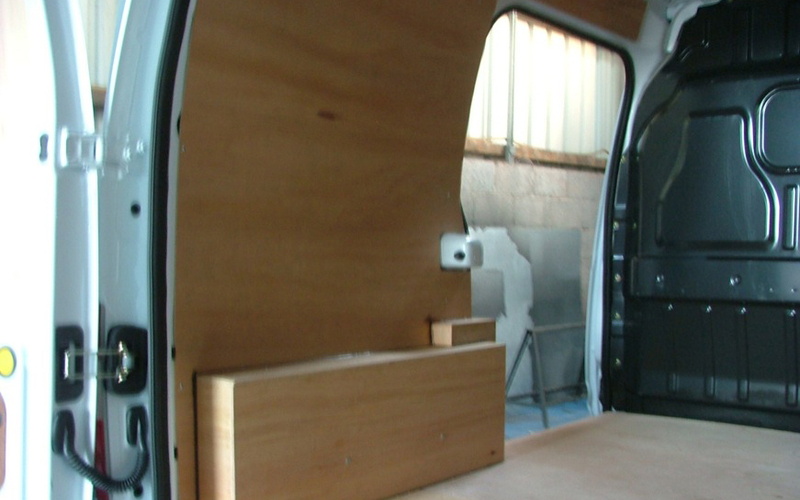 In order to be able to achieve this, vans are normally ply-lined to cover any large gaps and holes in the interior panels. 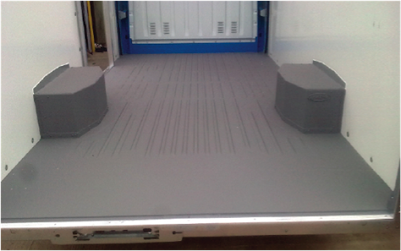 Smaller gaps are filled with Polyurethane sealant and the vans are then sent to a LINE-X applicator to have LINE-X XS-100 applied to the interior. 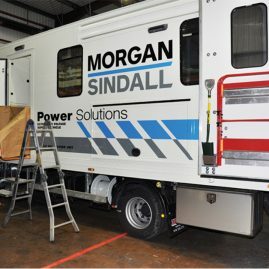 This van was taken to a LINE-X applicator, who ensured that the correct preparation of the interior of the van was carried out and that the painted surfaces were fully keyed and ready to receive LINE-X XS-100 which had in this case been coloured with blue pigment. 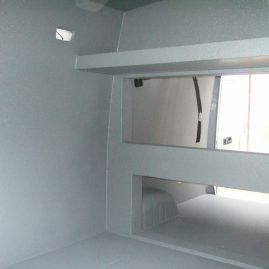 The van was then sprayed with a good coating of XS-100 to form a complete monolithic membrane in the interior of the vehicle to give the waterproof and easily cleaned surface that was required. 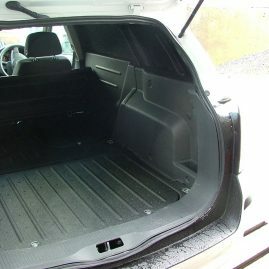 In all it took about 4 hours to complete the job. 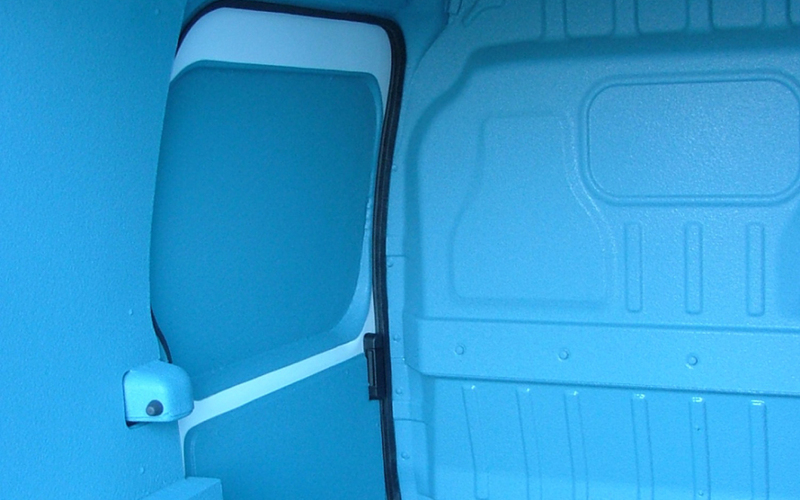 This customer now has a fresh looking blue interior. 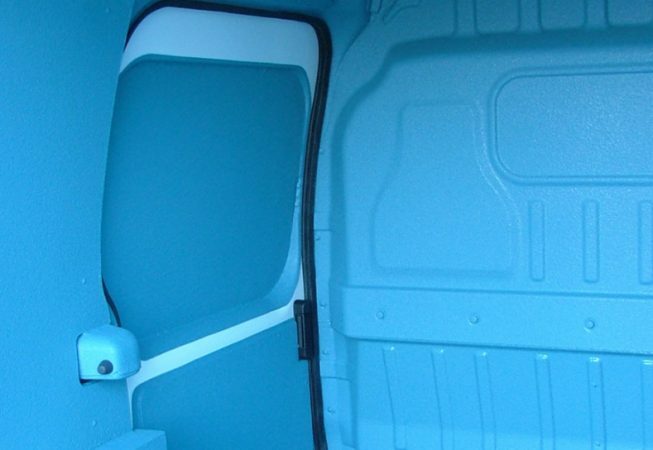 It is easy to see into any part of the interior due to the bright and cheerful choice of colour. 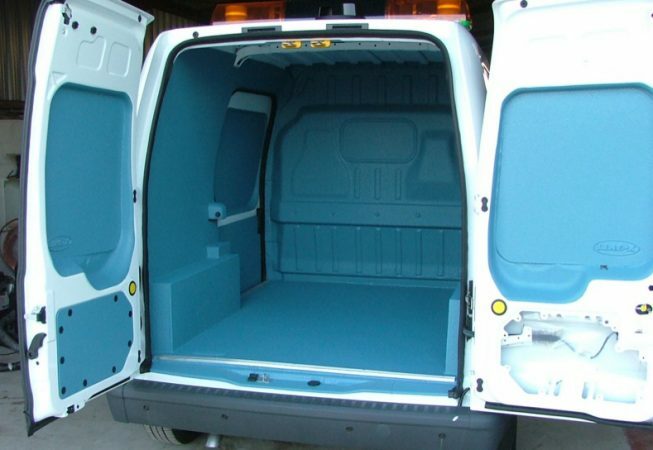 The van can now be easily cleaned as and when necessary, due to the effective waterproof membrane. 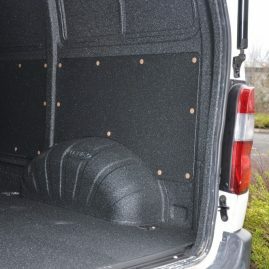 LINE-X has a food safe certificate as standard, and provides a degree of insulation to the van as well as a durable hard wearing coating which will protect the van’s interior from wear and tear during its working life for many years to come. 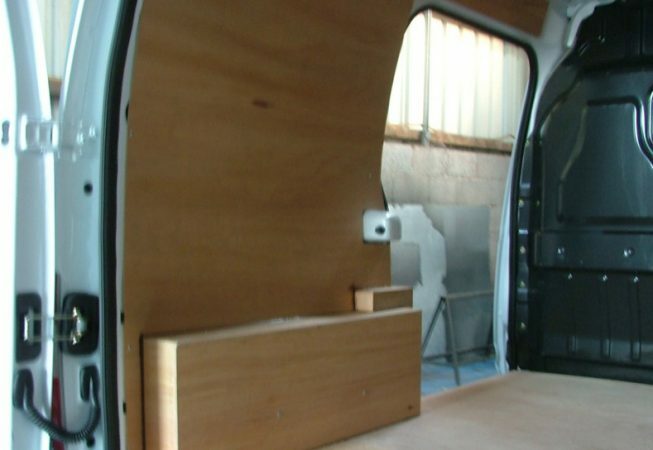 It will also help to preserve its resale value in the future.